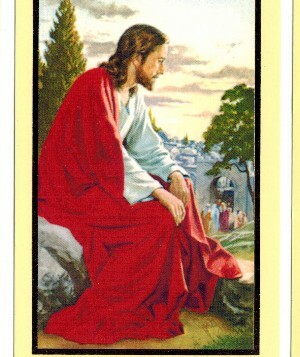 prayer on back/ card stock Cardinal Newman's Prayer May God support us all the day long until the shadows lengthen and the evening comes, and the busy world is hushed, and the fever of life is over, and our work is done! Then in His mercy may He give us a safe lodging and a holy rest, and peace at the last. Amen. size 4" by 3"